Have you heard Dr. Tulloch speak? It's been a difficult couple of years for a lot of folks - customers, suppliers, and us. But we're still here. We have fresh ideas on building kit cars at lower cost. We'll be sharing these with you over the next few months as we roll out our running chassis and our frame married with a reclaimed Bradley GT body. We think you'll like our money saving ideas and our cars! 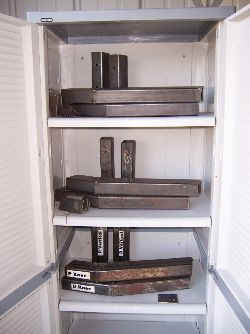 We have a few rusty frames that were left out side last winter by our FORMER contract manufacturer. Make us an offer! It's been a difficult year for a lot of folks - customers, suppliers, and us. But we're still here and starting Spring with a renewed effort. We have fresh ideas on building kit cars at lower cost. We'll be sharing these with you over the next few months as we roll out our running chassis and our frame married with a reclaimed Bradley GT body. Ask a question get an expert answer from yedda.com! Check out our new survey! for sale on eBay w/ photos! Frames now backordered. Reserve yours now! New RSS News Page debuts. PayPal Payment Now available ! MEKK Featured on Kit Car Links -Thanks! Employee puts MEKK on his eBay About Me page. Gen I Neon Frames are ready for sale! Use to make your down payment and invoice payment. Canton Show - Another nice corner spot! Local Delivery: Frame with front suspension installed. MEKK has developed a unique approach to VW based kit cars. VW beetles are starting to bring collector car prices. So, destroying one for the pan, suspension, and engine just doesn't make sense anymore. Besides, the VW low tech, low HP, air-cooled, carbureted engine doesn't provide the reliability or performance we expect - even in our toys. 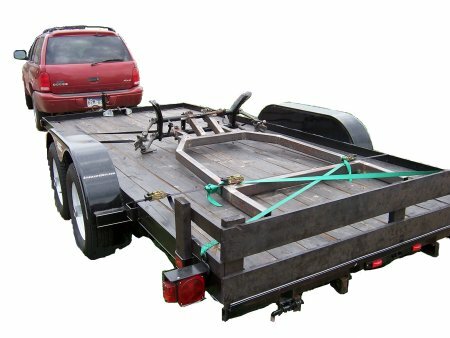 Why spend money on a one-of-a-kind vehicle and equip it with rusty 1940s technology? MEKK allows you to choose from a wide variety of FWD vehicles to power your classic VW kit car. Our unique approach uses a FWD donor to provide rear suspension and drive train in a quasi mid-engine configuration. 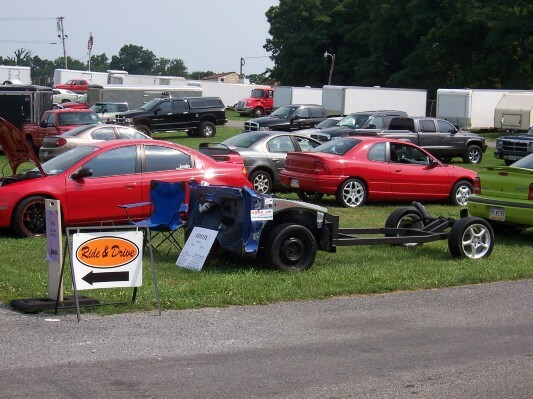 Power steering, power brakes, air-conditioning, heater, donor instrumentation & even entertainment equipment can also be transferred to your kit car. We've started with the Generation I Dodge/Plymouth Neon as the donor. Additional versions will be added in '08. 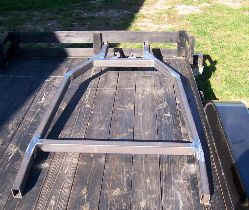 So, step into the 21st century with a MEKK frame for your VW based kit car. Frame (bottom - less adaptor parts) ready to ship. Adaptor parts ready for kitting. We believe the various manufacturers of VW based kit car bodies deserve a fresh alternative to the old VW pan. We also believe that kit car builders deserve a frame that empowers them to build a car with the performance, safety, and ease of construction that matches the appearance and quality of the industry's bodies. MEKK intends to provide such a frame and also to provide a first rate customer experience. In addition, MEKK provides instructions and miscellaneous parts to install several different engines in our frames. For additional information please review this web site or send us an email. If you need detailed engineering information or advice, please put your telephone number in your email and we'll give you a call. Email us for a shipping quote. Motor freight to a residential address costs more. A business/non-residential address is one with a loading dock &/or forklift. Two people can handle a fully tacked frame but the driver isn't one of them. Copyright © 2007 - 2009 M.E.K.K. Autoworks, Inc. All rights reserved. Photo Copyrights © M.E.K.K. Autoworks, Inc. unless otherwise indicated.